April 4, 1945. President Roosevelt is briefed on the war in Europe: the war grinds on and thousands are dying every day. A group of German staff officers is ready to assume leadership of the Third Reich and surrender instantly. But the German SS is preparing a fortified retreat in the Bavarian Alps where Hitler may be able to carry on the war for years. This must be ended. The president makes the decision: assassinate Hitler. Immediately. Jack Cray is an American Army commando with a terrifying combat reputation. But he is currently a POW at Colditz Castle in Germany, a grim prison for hard-core escapees. A coded message orders him to break out and head across the ravaged landscape to Berlin. Otto Dietrich, once the legendary chief criminal inspector with the Berlin Police until his arrest for treason, is released from prison and ordered to hunt down Jack Cray before the American can strike. It is a race, the American commando versus the Berlin police detective. Only one of them will reach the hidden Berlin bunker. 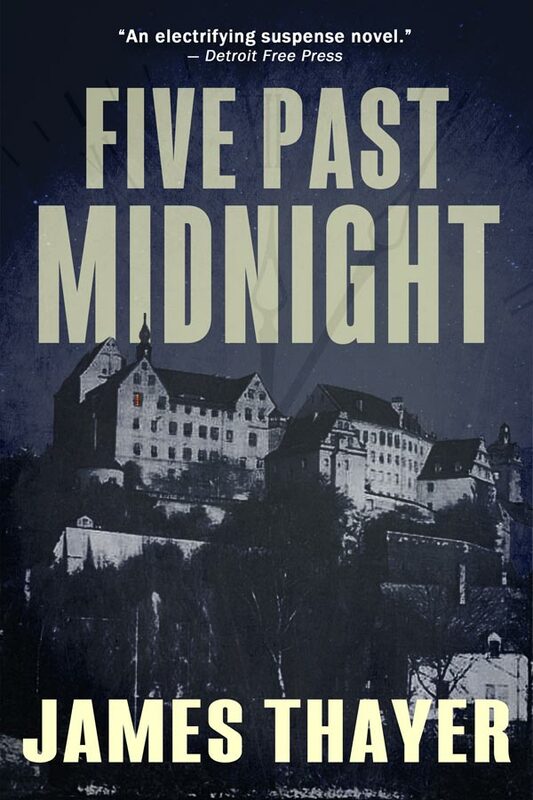 "Five Past Midnight is a thriller masterpiece, word for word and drop of blood for drop of blood as good as Day of the Jackal. Maybe even better. James Thayer is a genius, a master of the genre, as good as Clancy, Child and Forsyth. Damn, I wish I had written it!"